Trump denies criticising May, accused The Sun for "fake news"
The United States President Donald Trump claimed that Sun write-up of his interview was “fake news” because it did not include his positive comments about May - even though the Sun report did include Trump’s pro-May comments. 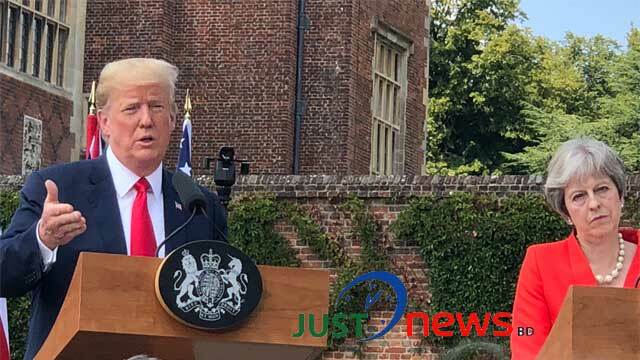 After holding the UK Prime Minister’s hand as they walked down the steps to the press conference podium, Trump stood beside May at her country retreat of Chequers and delivered a rambling broadside which covered Brexit, trade, Nato and the “fake news” he said had been reported about their relationship. The press conference was held after their talks at the Buckinghamshire estate, away from large protests in London. 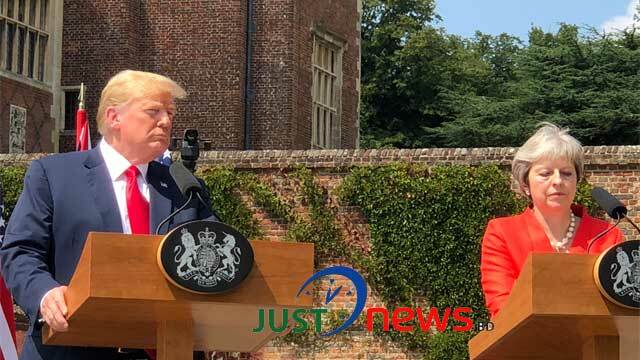 Speaking alongside the PM after talks at her country residence, Chequers, Trump said the US-UK relationship is "the highest level of special". May said they had discussed plans for an "ambitious" trade agreement. 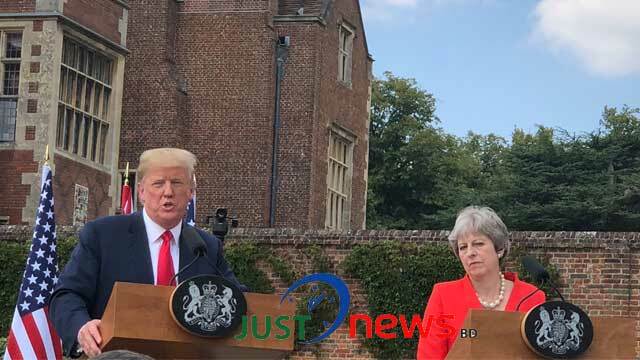 At thenews conference, Mr Trump praised Mrs May as an "incredible woman" who was "doing a fantastic job" and said there could be a "great" trade deal between the US and UK. "I've been watching her over the last couple of days. She's a tough negotiator. She's a very very smart and determined person." He added: "I would much rather have her as my friend than my enemy." "Immigration has been very bad for Europe," said Mr Trump. "It's changing the culture, it's a very negative thing," he added. He said immigration has "very much hurt" Germany and other parts of Europe. "I know it's not politically correct but I'll say it and say it loud," he said. Theresa May said the UK "has a proud history of welcoming people who want to contribute to our country". UK Prime Minister said there are "no limits" to the UK doing trade deals once the UK leaves the European Union. "We will do a trade deal with the US and others around the world," she said. Coming on to Brexit, Donald Trump said: "I don't know what they're [the UK] going to do but whatever you do is OK by me." "That's your decision," he says adding "just make sure we can trade together that's all that matters". Donald Trump said he and the PM had discussed a "range of shared priorities including stopping nuclear proliferation". "The prime minister and I also discussed Iran. We both agree than Iran must never possess a nuclear weapon." "With mutual investment between us already over $1 trillion we want to go further..
"The Chequers agreement reached last week provides the platform for Donald and me to agree an ambitious deal," she said. Trump called it "a true privilege to visit historic Chequers" which he says he heard about "growing up in history class". He described his tour of the Winston Churchill exhibit at Blenheim Palace as "something very special". US President's first visit official visit to the UK as president is taking place in between the Nato summit and a meeting in Helsinki with Russian leader Vladimir Putin. Trump said border security is a national security problem. They have to stop terrorists crossing borders.